After a bad fall (and ensuing pain) I saw a few physiotherapists to work me back into shape. The third was confident that my pain was caused by a problem with my SI Joint and treated my quite aggressively. I was seeing her twice per week as well as a weekly massage at her request to relax my Psoas Muscle (aka Hip Flexors). After a few months I began to experience a different type of pain. My back would begin to feel very vulnerable to movement and I would have periods of intense pain that was brought on by movement. Staying completely immobilized during these times I feared a sneeze, hiccups, or even laughter. It was excruciating and (in my experience) I attributed it to being caused by “bone on bone”. When I saw a Physiatrist he determined my symptoms not to be SI Joint related – rather a problematic facet joint. He confirmed that the treatment I was doing for SI Joint problems was actually exacerbating my Facet Joint pain. The bone scan confirmed the Facet Joint problem, but also confirmed SI Joint issues. So what to do now? Treatment for one brings about pain from the other, and vice versa. 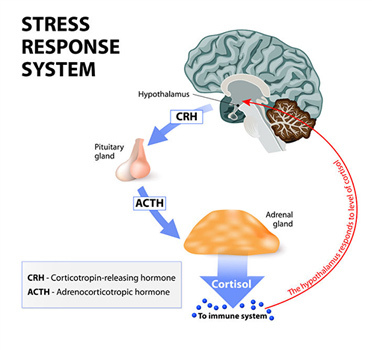 A couple of months ago I had cortisol-steroid injections in both locations. They provided me some relief for a period of a few weeks. Then my Psoas became very angry with me. Three weeks after the injections I experienced a sharp stab of pain on my left side. Reaching for anything, or any movement that used my core muscles triggered a horrible pain. There were so many things it limited. Brushing my hair, reaching for a cup of coffee, lifting my leg to take a step, even wiping after bathroom business became a very painful and almost impossible to complete task. Basically ANY movement that required me to use my core muscles. Just imagine trying to walk, sit, or roll over in bed without using the muscles in your midsection. It’s impossible. These stabs of pain or spasms literally stopped me dead in my tracks anytime they hit. This left side pain would be present for about a day or two, then it seemed to move to my lower back with a dull ache. On about day three it would land on my right side, presenting the same problems that it had given on my left side. When these stabs of pain relented after a few days I would have a final day consisting of a deep ache in my right hip. This muscle issue has happened a few times now and is seriously getting on my nerves. I admit, with the first year of pain I was fearful and neglectful of stretching. I mean, it hurt to move in the ways I needed. An attempt at yoga ended in tears of frustration as the movements caused so much discomfort and was NOT relaxing at all, rather it was a deeply embarrassing experience. When I discovered the Unlock Your Hip Flexors program I was skeptical. Until I saw the pictures showing what/where the Hip Flexors are. Looking at this picture it is absolutely undeniable to me that THIS muscle is situated in the exact path of the roving pain I’ve been experiencing. Further reading of the literature regarding the hip flexors has given me confidence that I will benefit greatly from this program and working through the routine will give me relief. I ordered my copy today . . . stay tuned for my results! It may be the most harmless activity known to man, but it’s also one of the biggest dangers to your health. Even if you’re the most active of athletes, you may still suffer from tight hip flexors due to the amount of time you spend each day planted to a chair. If you have tight hip flexors from sitting too much you may be kicking your body into fat storing mode and it has nothing to do with inactivity. As the body’s “fight or flight” muscle, your psoas (hip flexors) is deeply connected to our natural survival instinct. It instantly tightens in moments of danger to either protect you (in a fetal position) or help you run, fueled by the release of adrenaline. However, if your psoas (hip flexors) is constantly tight from sitting too much, it signals to the body you are in constant danger, leading to overworking of the adrenal gland. When this happens, your immune system suffers and your body automatically switches into fat storing mode in anticipation of danger. Can’t shift that weight? Blame those tight hip flexors known as your “survival muscle”. If you have a desk job, drive to work or like to relax on the couch, congratulations you’re like a lot of other people. Sure you can decrease the amount of time you spend sitting but overall there’s no way around it. So what should you do? Personally I recommend that you incorporate these 10 Simple Moves into your day. They take less than 15-minutes and can unlock your hip flexors (survival muscle) so that you’re not stuck in fat storing mode. Give it a try, you’ll bring vitality back into your life so that you can be lean, active and energetic for yourself and loved ones. Little Known Body Part Causing All My Pain? There’s a ‘hidden’ body-part you’ve likely never heard of… and it’s probably making you look like you’re at least 5-7% higher body fat than you actually are. It tends to create a lower belly bulge, love handles that don’t belong, and can actually lead to low back pain when left untreated. In Physical Therapy, this is one of the most common body-parts that are screened for, an area that is seeked out and fixed with hands-on attention, and one for which I’ve received specialized training. When released, clients feel enormously better, almost as if blood flow returned to a vital area; and they have confidence to address new body goals. Over the last several months, I’ve been studying how this same body-part affects emotions, neurological balance, and confidence. Interestingly, it has an enormous effect, and when unrecognized can lead to sadness, depression, anxiety, or lack of will-power. Please ‘do’ send us feedback and let us know how you’re feeling 2 weeks from now. Most people experience and see preliminary effects within 20-30 minutes, so you may as well get started.